Maps have come such a long way in such a short time. People were using paper versions just 20 years ago. If you wanted to go somewhere and didn’t have the route memorized, you were forced to get a map or atlas out of your glovebox. If you were travelling to somewhere unfamiliar, you went to places like AAA to get an updated map of your destination. Drug and convenience stores stocked local maps so visitors could get around. Yes, maps have come a long way. They seem more appropriate for a time when Coca Cola came in glass bottles and was kept in an icebox, even though, for most people, they were the best navigation technology available until the mid-2000s. In most of the world, GPS was the technology that made the paper map obsolete. However, relatively speaking, GPS is somewhat young. The United States Air Force started its GPS project in 1973, but GPS wasn’t released for civilian use until 1995. GPS navigation units wouldn’t become part of most peoples’ lifestyles until around the year 2000. The first commercial mapping software, MapQuest, appeared in 1996, giving travelers the ability to print out turn-by-turn directions. Yahoo Maps debuted in 1998, offered an alternative to MapQuest. Next in the map revolution was Google Maps, which wasn’t available until early 2005. In the 10 years that followed, developers revolutionized maps. Today, it’s hard to imagine a phone without Google Maps or Waze. Many vehicles now have built-in navigation functions in their dashboards. We live in a world where we can go online, find a place to visit, and get directions to that place within seconds. We can find the hottest new ramen place and have directions to it, too. Google isn’t satisfied with the state of maps today. Less than a year ago, Google unveiled a major forthcoming upgrade at its annual I/O keynote — an augmented reality (AR) version of Google Maps. The technology would layer a Google Maps interface on top of real-world visuals. Google framed it as a technology of the future, something that could soon become real. Fast forward eight months, and that technology is upon us. In February 2019, Google gave The Wall Street Journal a first look at their unreleased AR technology. AR maps would improve on an aspect of mapping software that often falls short for its users — providing accurate navigation for pedestrians (Google was quick to note the technology was not for use while driving). Traditional map apps work well enough for drivers, but when people are walking, even a small inaccuracy can lead them in the wrong direction. Google hopes that applying augmented reality to your surroundings can compensate for the inaccuracies associated with GPS. When you’re in a car, 30 feet of inaccuracy isn’t a big deal. When you’re walking, such discrepancies can leave you circling your intended destination with your eyes glued to a screen. Google’s AR view works by using your smartphone’s camera to create a real-time view of your surroundings. Using a decade’s worth of Street View data, the app can detect where you are and provide directions within the AR interface. When David Pierce of The Wall Street Journal tested the software, he found it to be especially useful at the start of his journey. Google hasn’t announced when AR maps will be available to the public. 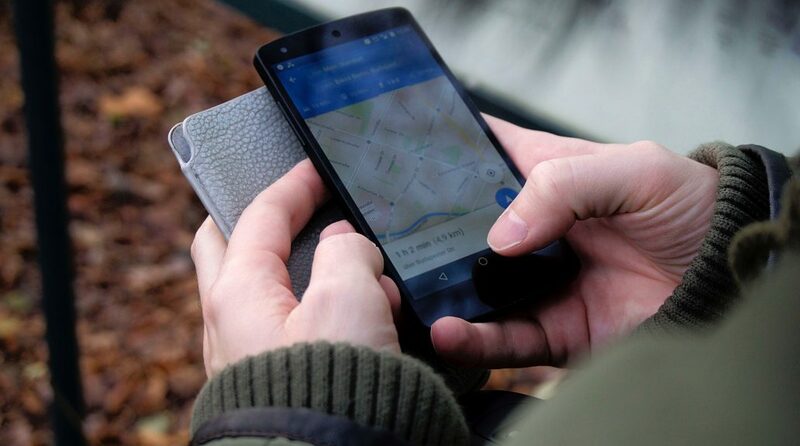 Developers are working on safety features, such as embedded warnings that ensure people won’t hold their phones up while walking into oncoming traffic, and Google still has plenty of testing to do. However, it might not be long before AR maps can lead you to your favorite ramen spot, rather than dropping you two blocks up the street.